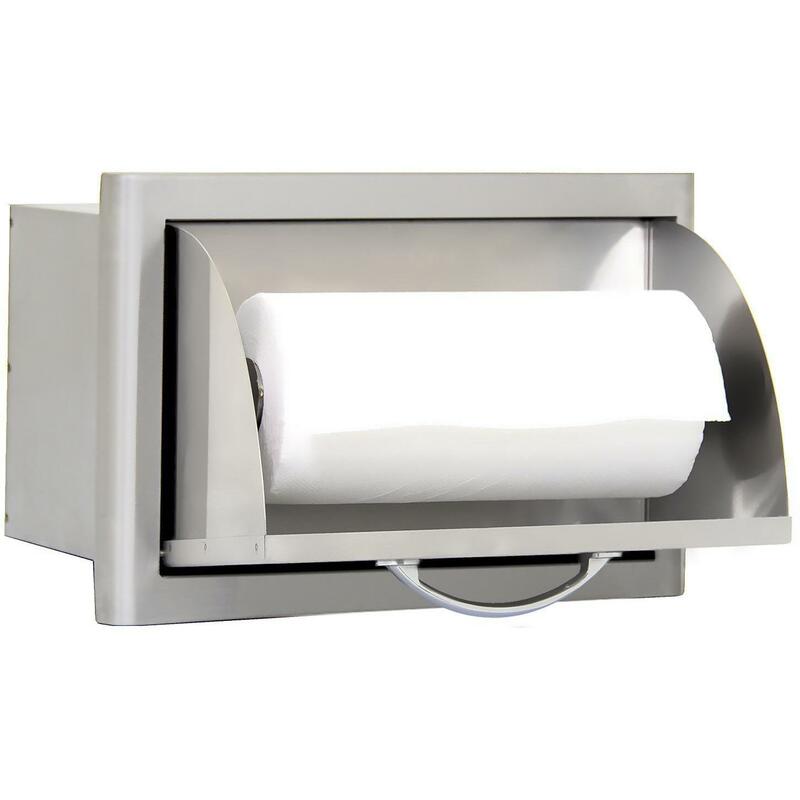 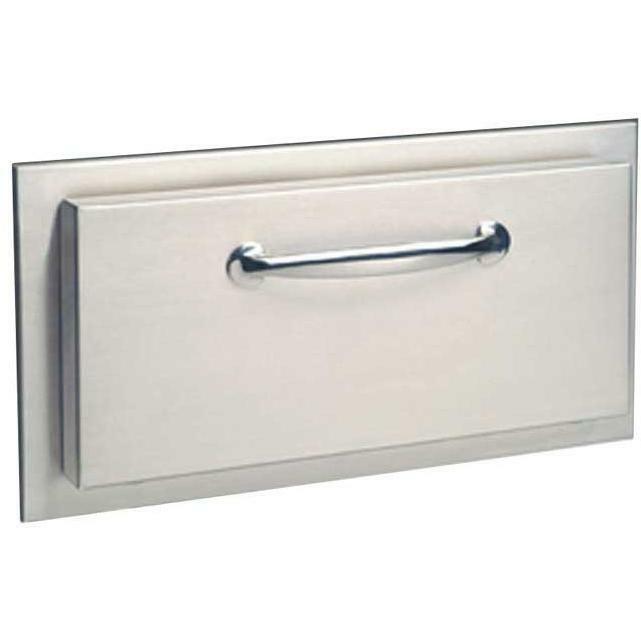 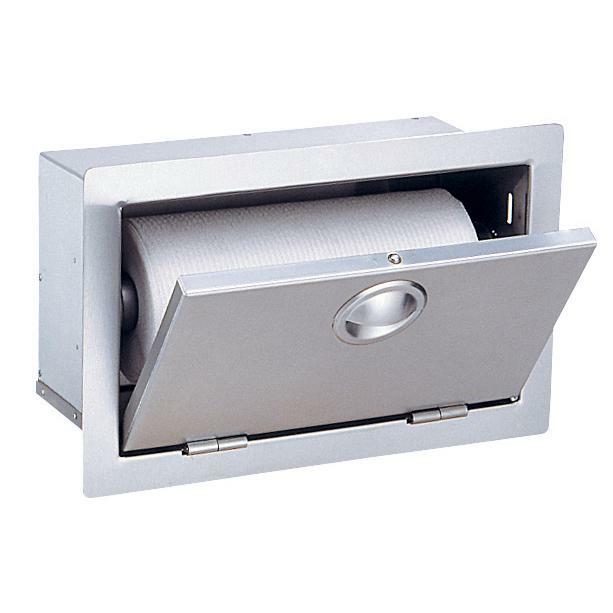 Product Description: Cal Flame Enclosed Paper Towel Holder - BBQ07910. 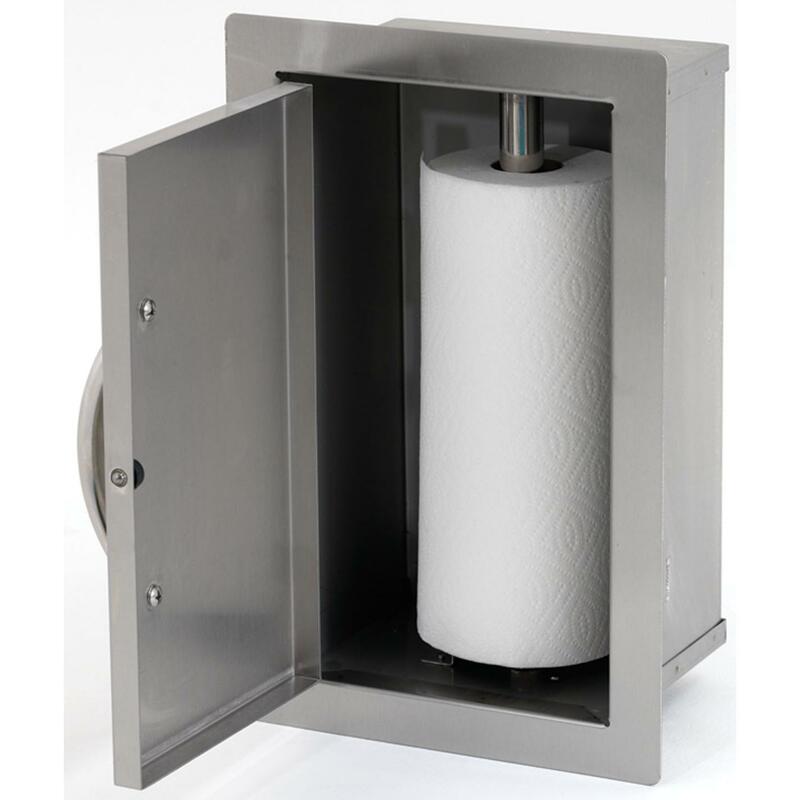 The fully enclosed Paper Towel Holder storage cabinet by Cal Flame allows you to have your paper towels right at your fingertips in your outdoor kitchen. 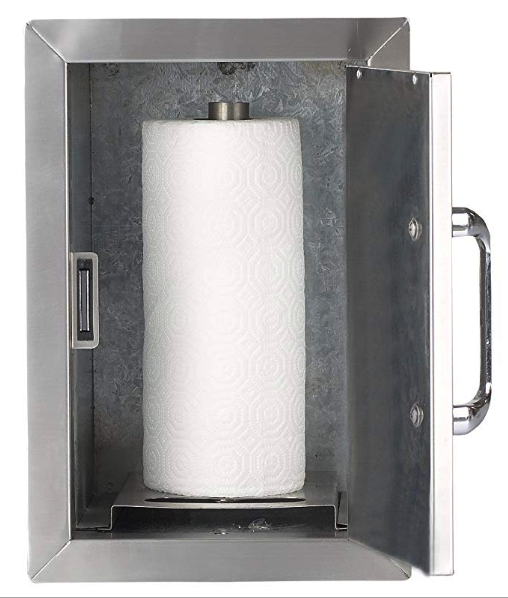 Constructed from seamless, uni-body double-layer 430 grade stainless steel, this cabinet will endure the outdoor elements and features the Cal Flame signature one-piece oversized handle for ease of access.